Now, I don’t know if this is intentional by the opponent (don’t think they are going to admit it anyway) but seriously, Thailand? 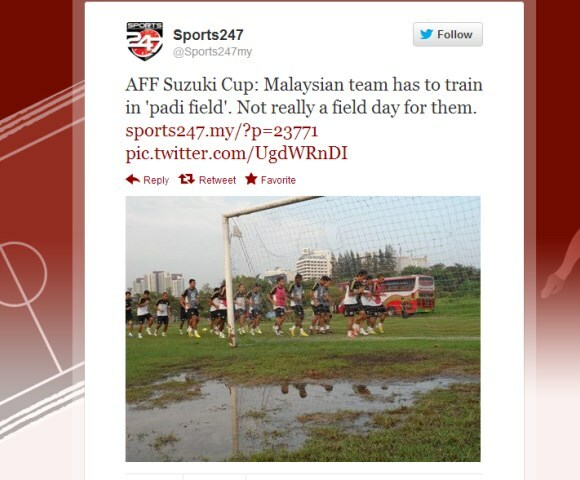 According to local sports site Sports247.my that is in Bangkok for the upcoming 2nd leg of AFF Suzuki Cup 2012 semi-final match between Thailand and Harimau Malaya, only a half of the field was usable for training. Why can’t the FA of Thailand source a proper venue – maybe in one of the stadiums that are used by Thai Premier League’s teams? 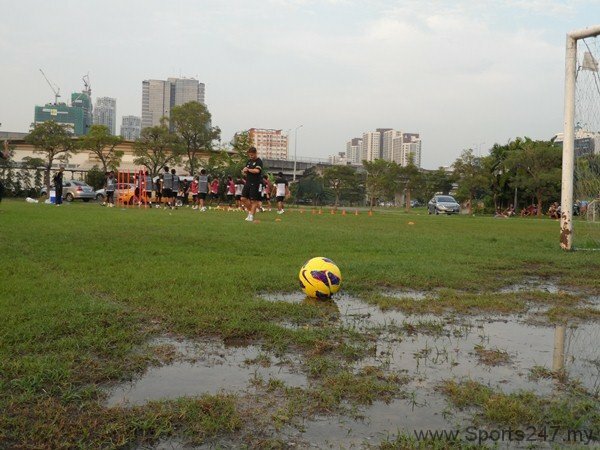 As a comparison, the Thai team was given access to Maybank Sports Centre in Bangi as their training venue which is proper and conducive (obviously). Totally ridiculous...then again, FA of Thailand doesn't have a good track record as of recent anyway – according to its Wikipedia page. Anyway, judge the condition yourself by checking out the rest of the photos at Sports247.my.